JanineKelbach works as a RN. Networking with other freelancers is one of the best ways to keep learning, gain opportunities, and keep loneliness away! Freelance remote work has been a growing trend since the early 2000s. Companies are understanding that employees can work well in a remote environment. Of course, as a bedside nurse, it's not possible to leave and work from home, but a side job, like freelance writing can let you. Many freelancers I know are introverted. The definition of an introvert is a shy individual. I, too, am an introvert, and it's easy to stay in my bubble. As a business owner, as much as you are your favorite person and you're okay with hanging out with just you, you have to branch out and network. Networking is one of the best ways to keep your business moving forward. Resourcing and networking are also the best ways to land clients. Every relationship through networking I have learned from. When you work the floor as a staff nurse, you see the different skill sets everyone brings to the table, and it's the same in freelancing. Some have been running their remote businesses for many years, which can eliminate the trials and errors of beginning freelancers building their businesses. You can learn from others by attending conferences, webinars, joining groups that require a coach to help you take your business forward, and more. The possibilities are endless when you open your mind to it. Loneliness is one of the biggest complaints of freelancers. You are your own worst critic. If an editor butchers a piece you wrote, you're by yourself, with no one to tell you, "Chin up and try again." The World Wide Web is a giant place, and without looking around, it can become very lonely. Some freelancers can go without talking to anyone all day long. Networking with others will help you never feel lonely in your business. Ever heard the phrase, "It's all about who you know?" It's a common phrase when someone is curious about a new job or opportunity. Technology is incredible. A couple decades ago, looking for work as a freelance writer consisted of running an ad in the newspaper, and lots and lots of prayers. Nowadays, there are many job boards online to find jobs, but it's a sea of freelancers applying to them. There are many companies out there that need freelance writing services that you can chat with, grow the relationship, and have as a client. Think of networking as a snowball. The more people you add your network, the bigger the ball gets. When a snowball gets bigger, it gains power. Think of the power being the referrals from your network. It's simple. Once you provide amazing work for a client, that client will tell someone they know and you will get another client. It really does work. You're probably thinking, "What? I don't have a network. I'm a new freelancer! How can I possibly have a network?" Don't be scared my fellow introvert, you will have to come out of the bubble for this. Beginning to network can start with those around you. Do you have a Facebook account? LinkedIn? Share what you are doing and see if anyone close to you needs your services. Check your local newspapers and magazines to see if they need a writer, but be sure to mention how you are an avid reader and appreciate their work. 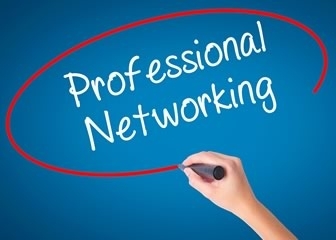 Another way to network is to attend a MeetUp or networking event in your area. "Janine, no way. I cannot just go up to people and talk." Ok, ok, try going with a friend and challenging each other to talk to other people. Come up with some conversation starters, and remember to smile. The last way is to look into Facebook and LinkedIn groups. There are Facebook and LinkedIn groups for every interest out there. Look in your hometown to see what groups you can join. Don't just post for yourself, engage and help others. The favor is returned when you help others. allnurses has an amazing group of entrepreneurs as well. Engage on the forums, message some authors, keep building your knowledge on your business. Networking isn't hard, once you break out of your bubble. Trust me, I know it is hard sometimes, but you can do it. If you know it will help your business, and it's free to do, why not try it out? I challenge you to because it will leverage you forward. 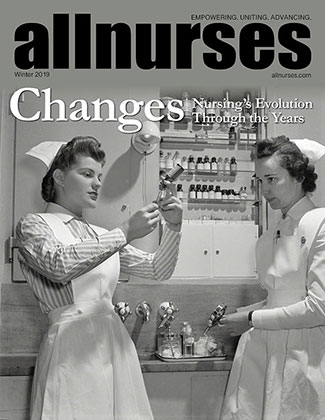 Try to connect with me, not only on allnurses, but my other social media channels. I can help you become connected, and the writers I have connected with and the most generous people I have ever worked with. Janine Kelbach, RNC-OB is a freelance writer and owner of www.WriteRN.net. Janine has been an RN since 2006, specializing in labor and delivery. She ventured into writing in 2012. She still works in the hospital. She, her husband, and two boys reside in Cleveland, Ohio. Lane Therrell FNP, MSN, RN has 6 years experience and works as a Wellness Coach, Clinical Nursing Instructor. One way to leverage the lifelong learning requirement we all have as nurses is to use any continuing education classes you're required to take as networking opportunities. Same goes for attending professional conferences. It's a great way for introverts to practice networking since you've gotta be there anyway.